In order to get going with your day, you first need to get your vehicle ready for your drive to work. If you prefer to protect your car, truck, or motorcycle from the hot, humid Texas weather, you likely keep it in your garage, and when the door breaks or malfunctions, it can be a setback to the rest of your day as you scramble to find a prompt garage door repair company. 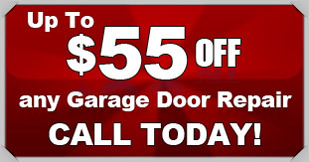 Action Garage Door is prepared to help you if you have garage emergencies, and to assist with any other required garage door maintenance made to your garage’s openers, springs, or new door installations. Improve the look of your garage with a fabulous new door, but also allow us to install a tried-and-true opener so that you can trust your door will continue to function. We only provide products that can will meet the local Stafford city ordinance and endure extreme weather conditions, plus we only employ experienced professionals. No two home or business owners are alike, and our garage door repair company understands that no two will want the exact same garage doors and set up. At Action Garage Door, we offer a variety of garage doors for installation in Stafford homes and offices. 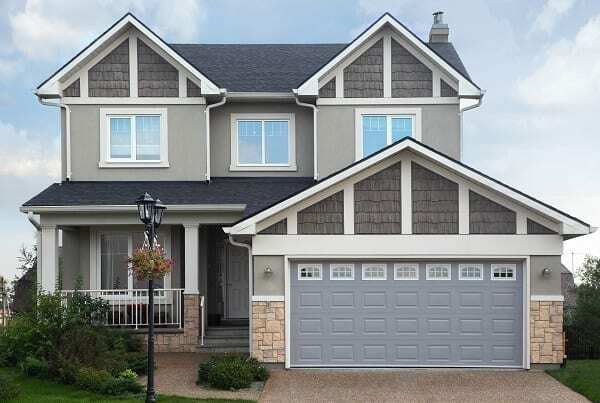 Some of our options include Carriage House, Olympus, Classica, Stratford/Heritage, and Amarr garage doors. 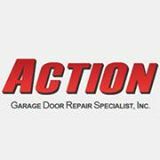 Action Garage Doors is standing by to help you with all of your garage door repair needs in Stafford or the surrounding areas. Call us or fill out our online contact form to make an appointment, request our emergency service, or discuss upgrading your garage door to something stylish and modern. Keep our number on hand just in case you need help with broken openers, springs, or door panels. The Action Garage Door team is always available for routine maintenance or emergency response and repairs that you might need for your Stafford-area residential or commercial garage doors. We will respond quickly to your needs and are available to service all makes and models of doors and openers, assuring that you will have complete peace of mind. Our technicians are thoroughly trained and insured, and all labor and material is guaranteed. The city is unique in many ways. It exists on land within the Houston-Sugarland-Woodlands Metropolitan area that was once a private plantation and, in some ways, it retains the aura of those times. However, the days of the cane mill and cotton gig are long gone, giving way to modern construction and a kind of modern vibe that has it positioned well for future growth and development. While the population, as of 2015, was still under 20,000, the city has under its jurisdiction two extra-territorial zones that it wants to annex and develop in an effort to have the city and school district boundaries match. Stafford schools serve city residents. It is the only school district in the state that is not operated independently with its own school board. Test scores show that its students perform above national norms, and local residents are adamant about retaining control in a hands-on way. The Stafford Municipal School District bills itself “the best little school district in Texas.” Currently, 3,539 students are enrolled, predominantly Hispanic and African-American. Thirty-one percent of its teachers have a doctorate or master’s degree, and there are 424 employees and five schools. The city is unique in another important way. The city has no property tax! Sales and business franchise taxes fund the city’s operation, and Stafford is committed to the idea of “living within its means,” although it actively promotes new business development. The municipally owned and operated schools are funded through a property assessment, however. Originally an agricultural community, Stafford exists now as a bedroom community to Houston, but also as a commercial and business hub with four times as many people coming to the city to work as residents who sleep there. This daytime surge allowed Stafford to eliminate its property tax in 1995. Does that make you want to live in Stafford? The median home price is a modest $152,500; still, only about 42 percent of its housing is owner-occupied. Median rents asked, at $1,081, are 18 percent higher than the national average. If you’re interested in painting a room or your entire house in Stafford, there are a lot of options! And you’ll have the same wide choice for any other type of home repairs and renovations! City officials and economic development spokesmen want to promote the message that Stafford offers a huge incentive because it has no property tax. Among its major employers at present are United Parcel Service and Tyco, as well as many additional firms, both large and small. It is this diversity and the focus on expansion and services that sets the city apart from others in the area. It is near enough shopping centers and entertainment venues, making its business orientation a perfectly logical track to be on. An active Parks Department manages all city land, including the city hall and civic center, the Stafford Cemetery and six local parks, all of which include picnic tables, water fountains, paths and benches and various other amenities. The city also has a modern walking trail and is implementing additional capital improvements to make the city a better and prettier place for local residents. Nathan was friendly, and very professional. I enjoyed the the service and would recommend your company. Our technician put door back on track and cables back on garage door. Repaired customers garage door that came off track. Our technician adjusted the chain on a chain drive opener for garage door.